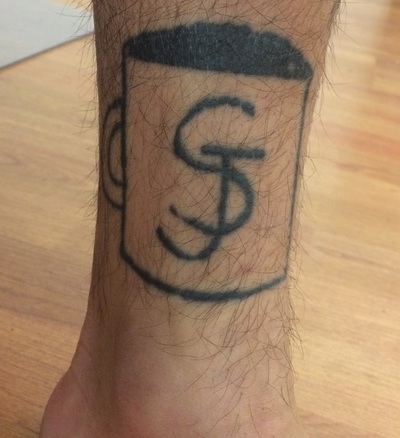 9 contributors tell us about their tattoos to commemorate San Jose. 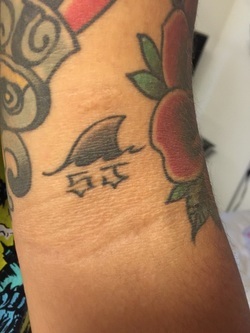 Add your tattoo to the ~GROUP PHOTO ESSAY~! 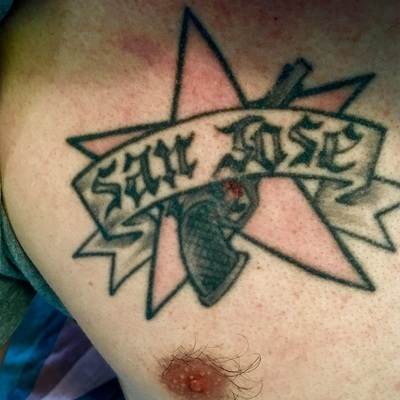 "I got this when I was 21 to show my pride for San Jose and also based on the art work in the Know Your Rights album of The Clash." - Adam W.
SAN JOSE CONNECTION: Born and raised, now living away from the city. SAN JOSE CONNECTION: My city, where I was born and raised. I love San Jose. SAN JOSE CONNECTION: The home that chose me. 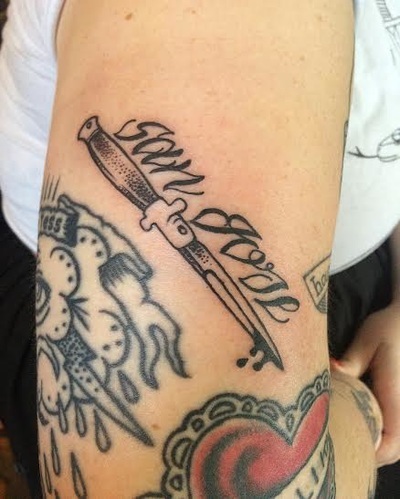 ​TATTOO ARTIST: Ben O'Hara at Death Before Dishonor, an incredibly talented and kind human being. "Sonic Skateboards 1990s Sharks Logo. Sonic Skateboards was based in San Jose and put this logo on a skateboard graphic. 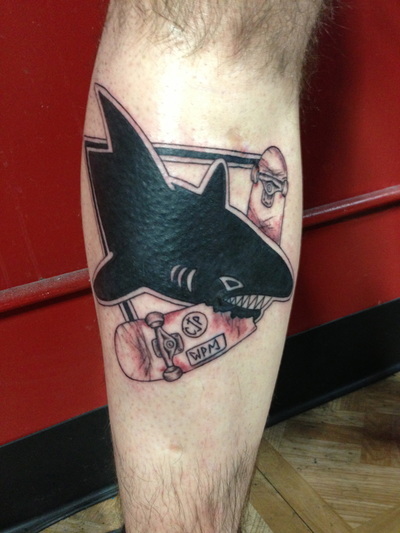 I grew up skating San Jose and loving the Sharks. This is a twist on that Sonic Skateboards design by jason gallego." - Phil Ritti, Jr.
SAN JOSE CONNECTION: Made In San Jose. 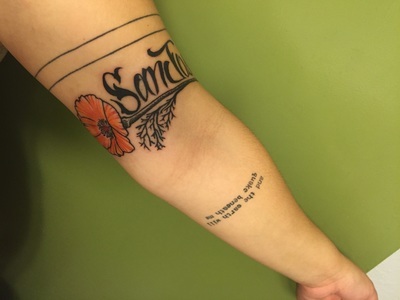 "One rainy night driving down Santa Clara St I realized how much I love this city and how beautiful San Jose is to me. 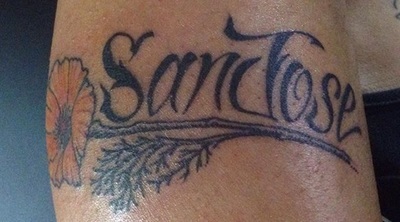 I wanted the beauty and love I have for San Jose to be with me Forever." - Sherrise G.
SAN JOSE CONNECTION: San Jose is my Home.